STREAMLINE THE BOOKING PROCESS . SPEED UP CHECK-IN. Use Digital Signing to complete registration cards, agreements and contracts in minutes. We’ve brought Digital Document Signing right into your booking flow, streamlining the process for your customers and staff. 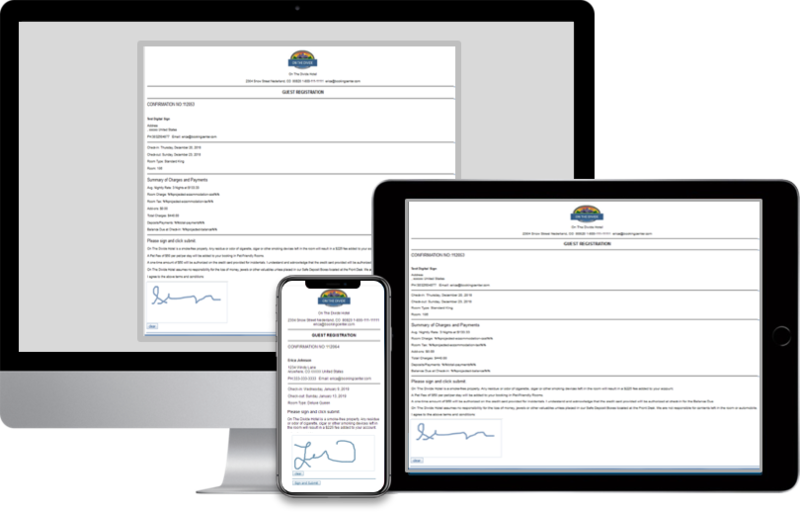 BookingCenter eSign- Digital Document Signing lets you create a customized letter with a built-in digital signature function which can be emailed to guests at any time on or before the check-in date. This allows you to request and store documents signed by the guest. The eSign function is incorporated into the MyPMS booking process and seamlessly integrated with Self Check-in and MyGuest Mobile Concierge and Request System.  Let your PMS do the work with eSign Digital Document Signing. with secure digital document signing integrated with your PMS. Minimize the clutter of paperwork and make it easy to retrieve and view documents with each booking in your PMS making Customize your your Registration Card, Contracts or any other document with a Digital Signature. Guests can view, sign and submit documents from any device – desktop, tablet or phone. Full PMS integration allows you to email or SMS a Digital signature Request to any guest right from the booking. 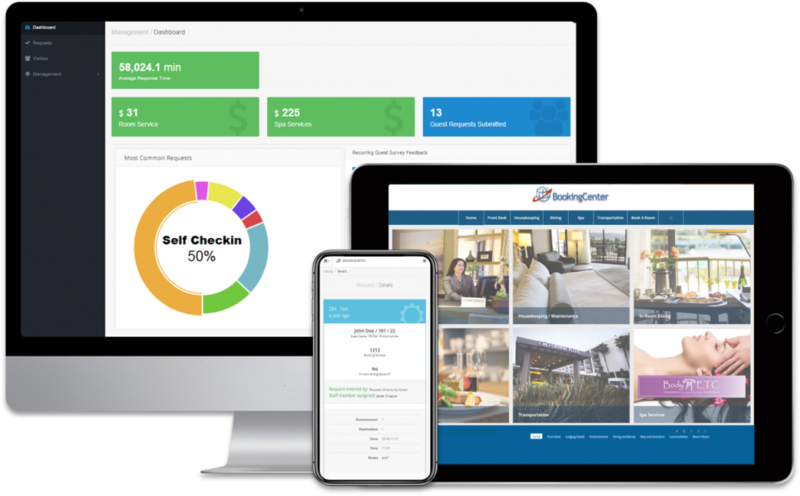 When added to MyGuest, the Self Check-in process uses ‘push notifications’ to notify staff when guests submit a digitally signed document, as well as manage any error such as a failure to send.